Is vegan soap as ethical as it sounds? Not if it contains conflict ingredients! 1%+ of all sales donated to eco nonprofits. Is Vegan Soap Animal and Environment Friendly? HomeBlogNatural body careMaterials profilesIs Vegan Soap Animal and Environment Friendly? VEGAN SOAP: KNOW WHAT’S BEHIND THE LABEL! Symbols used to indicate “vegan” products. “Vegan” implies the absence of animal products, including fats, milk, beeswax, and any other animal-derived component. Clearly, if a soap contains tallow, lard, goats milk or whey, it’s not vegan. But is it that simple? , soapmaking materials have different ecological and social costs of production, processing, transportation and storage. Some oils and fats are generated from byproducts that might otherwise be discarded. For example, many local butchers throw away tallow and lard trimmings from their cuts of meat. Such locally produced byproducts that would otherwise go in a landfill can have a useful end of life in soap, preventing pollution and helping make use of every bit of the animal whose life was taken. 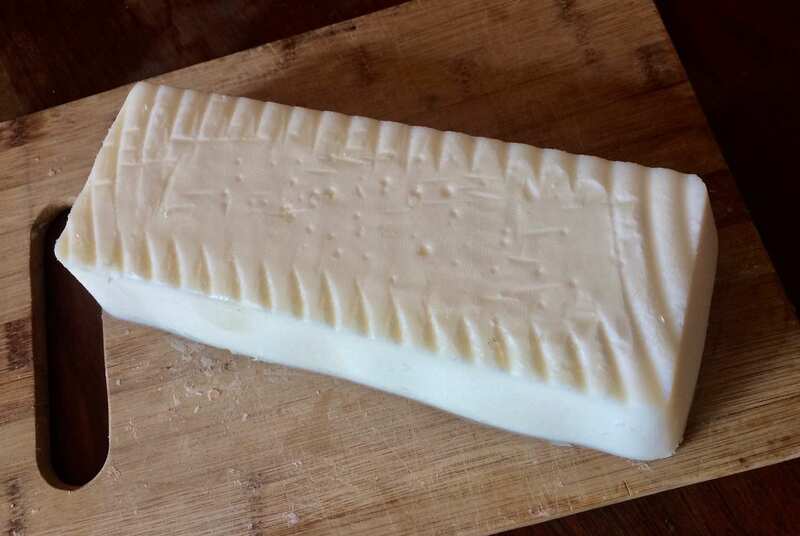 When we started out making soap, we used tallow that we rendered ourselves from our local butcher. But as we grew, we weren’t able to render enough tallow to support our production. Industrial tallow is not an acceptable ingredient for us because it involves widespread environmental destruction and often inhumane treatment of animals. So we stopped using tallow in our soap and we reformulated our recipe to be entirely plant-based. What about the human and ecological costs of producing oils? Look at the label on your soap! Many “vegan” and other soaps contain palm oil. 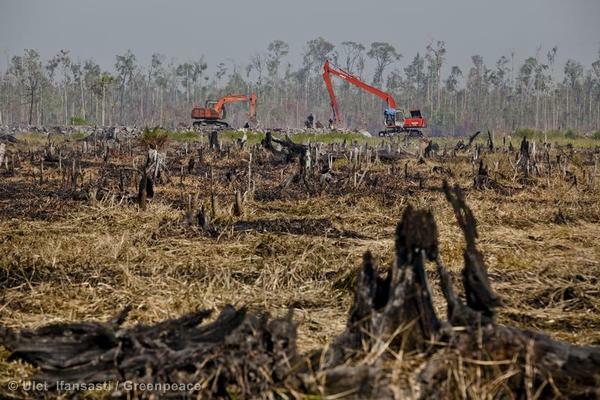 Palm oil is the primary cause of deforestation in Indonesia and Malaysia. Palm oil production kills mammals, amphibians, invertebrates and ancient trees. The effects of this destruction are far-ranging and include climate change and biodiversity loss. 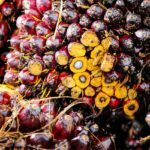 Evidence shows that much of the supply of “sustainable” (RSPO-certified) palm oil fails to live up to its claims. 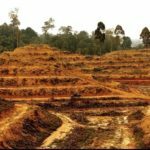 This “greenwashing” can make consumers feel better while hiding the fact that rainforests continue to be destroyed, even for palm oil labeled as sustainable. So, is palm oil “vegan”? Excavators building a drainage canal between remaining rainforest and charred stumps of recently cleared and burned peatland in palm oil plantation near Sontang village in Sumatra. Coconut oil is one of the most-used soapmaking oils because it provides fantastic lather and good cleansing. Did you know that the coconut industry often uses monkeys to pick the coconuts? Yes, monkeys! They are great climbers and can run up the trees and easily navigate the canopy, where they twist off coconuts and drop them to the ground. Investigations into the use of monkeys in the coconut industry suggest that some may be treated well, while others probably are not. Many human laborers in the coconut industry live in poverty despite the high demand for coconut products. To help address these issues and support responsible social and environmental practices in the coconut industry, One Earth Body Care uses only certified Fair Trade and organic coconut oil in our soap. Choice is powerful, and our choices matter. We believe that body care products should support environmental and social sustainability as well as human health and wellbeing. 🌳 Buy products with Fair Trade certification. 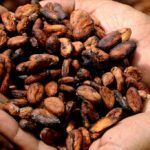 To obtain Fair Trade certification, a company must demonstrate that it meets strong standards of environmental and social sustainability. It can be more expensive to buy Fair Trade in the short term, but it is also more responsible. Those of us who are privileged to have access to tropical oils can help ensure that producers are paid fairly and that the materials aren’t produced at the expense of other people and our planet. 🌳 Share and discuss these ideas with friends and on social media. Collective action is powerful and can have an impact. 🌳 Make informed purchasing decisions. Deciding what products to use in body care products goes beyond understanding the properties an oil imparts to soap and whether it’s derived from a plant or animal. Our choices affect local and global ecosystems and communities. How are the oils produced? What are the human and ecological costs and benefits? Vegan soap? It’s not a simple question of plant vs. animal! What do you think about the vegan label? Should “vegan” include environmental and social criteria as well as plant-based origins? Leave your comments below! 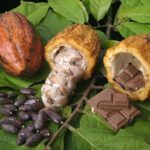 Cocoa production – an introduction! 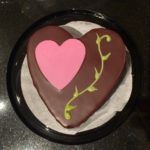 Hey Trader Joe’s, palm oil is not sweet! What is Fair Trade, and Does it Matter in Body Care? Copyright © One Earth Body Care | All rights reserved.